John Freeman started to build the Freeman 22 in 1957, he was also building caravans up to 1960 ! I learnt to sail at Itchenor sailing school and the bottoms/soles of most of their boats were semi-transparent. I had forgotten that, it was quite common in early mid 60s, thanks Peter. It seems like the next phase, in sail boats anyway is already underway. This is where a chassis is fabricated in stainless steel and encapsulated in either GRP or composite if not cost sensitive. Chain plates, wnches, engine, in fact all the workings are bolted direct to the chassis so the hull and superstructure are non structural and are there to keep the water out allowing a very light layup. Ray Greene, who had studied plastics while a student at Ohio State, had been working with Owens-Corning on fiberglass composites. He had made composite boats as early as 1937, but was searching for just the right plastic to use for boats. He received a shipment of the polyester resin in 1942 and produced a daysailer. I have just looked up the NMM. Cornwall page. They say that Tods Brochure was over-optimistic. "Stronger than steel", "will not absorb water", and that damage could be "easily repaired without special skill or tools". I thought the Wilds 42ft 8 berth version was called the Bahama, and the Mediteranean was in fact a 44ft Aquafibre mould, which also had a smaller 38ft sister. The 44ft Mediteranean and her sister had that enormous "square shaped" fwd cockpit. The 42ft Bahama and 34ft Bermuda hulls also had a few custom tops fitted, with higher level salloon roofs. There were a couple on the Thames, one with fwd cockpit and the other with a wrap round windscreen, one was Bermuda Bay, the other was Bermuda Spray, or so i believe?. Harvey Eastwoods had some on the Broads, but can`t remember which ones were which, but they were named Santa Fe, and Santa Paula, though they had slightly lower roof lines than those on the Thames. 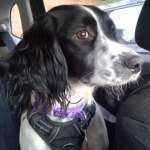 Having said all that, do people think i should get out more?. As for the first all GRP hire boats, could they have been early Seamaster or Freemans, as i believe these were possibly built as early as the end of the 50s, though probably not considered for hire fleets until there strenfgth in construction had been proven?. Picking up on some of the comments on here led me to disappear into the man cave and shoot an old advert board I’ve got with examples of soaring light, the seacrete aft cockpit and full top and bottom grp Woods fleet examples. I think this is early 70s, definitely before 77, and a former woods apprentice told me he was inducted into the fibreglass building section which my grandfather was heading up at the time. 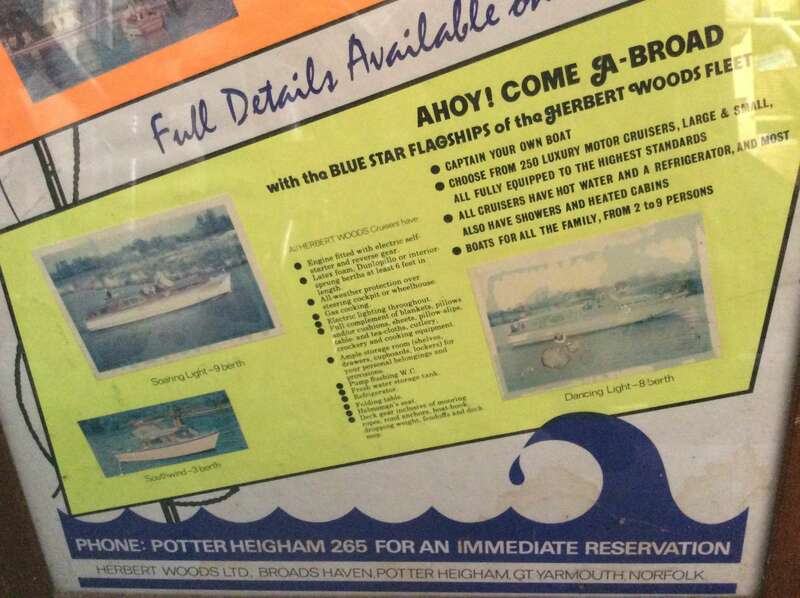 Can yer sail a boott was probably the interview question... any questions call Potter Heigham 265! I think I was 14 years young (1966, there that's me aged), when a Wilds Caribbean moored alongside us at Ranworth. I can distinctly recall my uncle Alf's words - "That'll never catch on, skating all over the top of the water. You need a bit of keel underneath". He was often wrong, Uncle Alf, bless him. Checked in with my brother today and his old Seamaster he owned, all GRP was built in 1954 according to the records. Confirmed it was one of Barnes fleet. WherryNice just been to have a look and there are no numbers visible, maybe running on trade plates just for the day? Or airbrushed out. A while since I’ve seen one of those, Concorde afloat at Upton about ten years ago, and the one sunk in the marina at Wroxham visible from the train a few weeks back. The bottom halves don’t seem to rot! I seem to remember my brother mentioned a Seamaster 26/27’ (an old style) he owned for a while was built in the late 1950﻿’s. There﻿ ﻿were a few a﻿round this time al﻿l GRP run out o﻿f Barns in﻿ Wroxha﻿m, Name﻿d quee﻿n﻿﻿﻿ something. 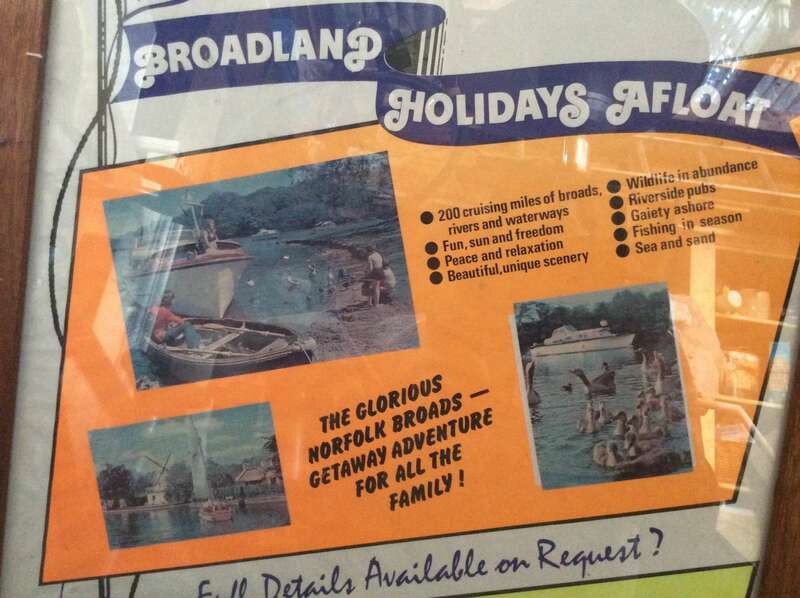 I think there are some pictures of them on the Broadland memories site? Turnoar there are two Seacrete boats next door to my home yard at Wayford, my parents owned one for 15 odd years which is now visible from the inside lane going over Postwick viaduct on the A47 and some family friends still have the one they bought back in the 80's. The hulls are pretty bullet proof but various metal structures inside tend to rot away causing things to sag here n there. As far as I aware the first Bourne 35's (also known as something different?) were launched around 1964. 6 for Herbert Woods (Glistening Stream later to join the wooden Glistening Light class ) and 4 for Moores (2 Glenmores and 2 Baltimores), with another Glenmore and 4 more Baltimores following. Ernest Collins also had 4 in 1965 as the Golden Emblems. I believe the mould/designs came from Rip Martin, I wasn't born until 1971 so I am relying on features in boat magazines and word of mouth. As an aside the first hire boat I went on was Glenmore 2 (R430) in 1974 the last year before they joined Blakes and went out of Moores family ownerships a very nice boat indeed. Away from the Broads one Ernie Wheeldon began building grp cruisers in Shaw, Lanashire in 1959 initially alongside Callumcraft but. eventually, as Norman. These quickly became a somewhat less expensive way in which to start a lifetime of boating. I was fortunate enough to graduate to an 1966 Ernest Collins built Moores "Glenmore" which was a fabulous boat and I do have some regrets for letting her go but I was not using her enough and also keeping up with the wooden topsides had already cost me thousands and were clearly about to empty my pocket even more, so I downsized and moved back to the rivers and canals of Yorkshire. 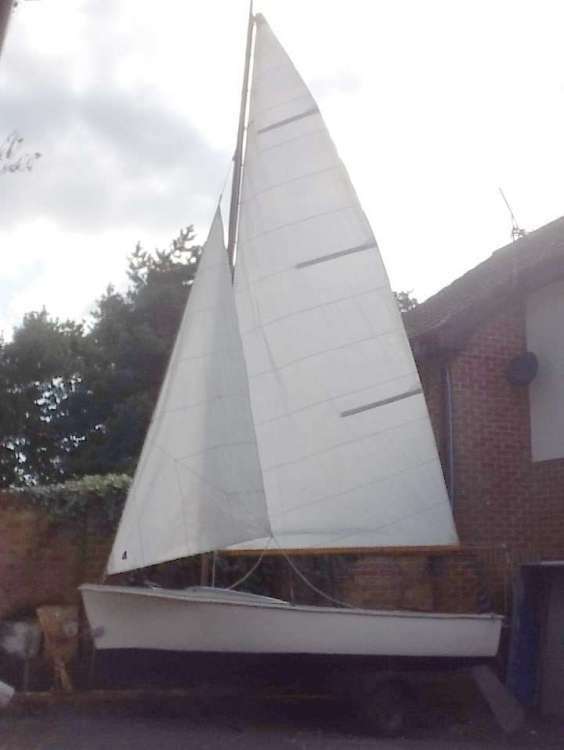 Those things were dreadful, we had two when I was at Bosham Sailing School in Sussex as an instructor during the summer and boat repairer/maintainer during the winter. No one like sailing them during the summer and yours truly found them hard to repair during the winter. Back in the 1970's surplus US drop tanks were readily available and bought by the hundred for floating jetties, houseboat floats and even boats proper. Trouble with them, and those Tod built dinghies, was that the resins of the day did not key with the glass fibre, no matter what we tried to do thus permanent repairs and conversions proved to be next to impossible. Absolutely correct Peter. In the UK many of the early boats were layed up using a Scott Bader product that was a Crystic Polyester Resin which I have been told was a way round DuPonts patent. Awful stuff, never really had any useful life in it. Absolutely correct Peter. In the UK many of the early boats were layed up using a Scott Bader product that was a Crystic Polyester Resin which was under licence from DuPont. Awful stuff, never really had any useful life in it. He wasn't always wrong! More than once we had to jack up a Wild's Bath-Tub after it had veered to one side and launched itself out of the water and onto the rhond! I started at Herbert Woods as an apprentice in 1976, they were building the Delight (Broom Skipper) class when I started and then went on to build the Mediterranean class (ugly boat) in 1977. They still had more wooden boats than fibre glass and I remember the sea create boats but I moved onto the yachts in 1977 so didn’t get involved in the cruisers much after that.